Weekends are for wandering, pondering and enjoying life. Especially gorgeous September weekends. What could be better? Casey is almost always with us on our weekend jaunts. He is not a particularly well-disciplined dog. We forgive him since his sense of adventure is similar to ours. 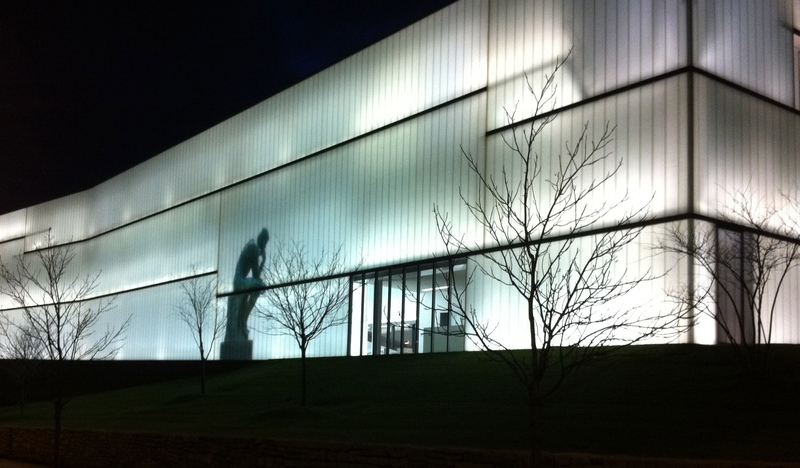 Sunday evening we headed to the Nelson-Atkins Museum of Art. It is elegant and inviting. While most of my museum time has been spent wandering the galleries inside the buildings, Sunday we focused on the grounds. 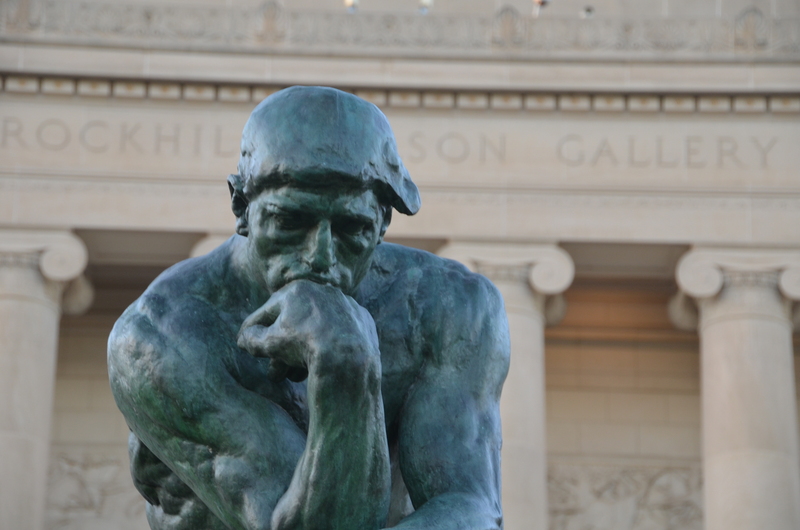 Since my earliest childhood, Auguste Rodin’s, The Thinker, has symbolized the Nelson for me. Originally inside the museum, he now sits outside, prominently displayed near the front entrance. The question has always been “What is he thinking about?” I have no answer. Sharing the front lawn with The Thinker are the shuttlecocks. A total of four shuttlecocks rest on the front and back lawns. Presumably, the museum itself is the net. 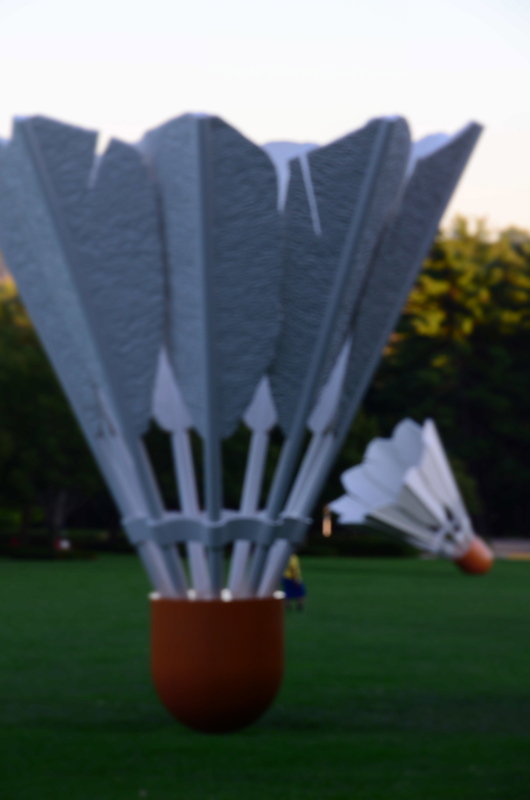 The Kansas City Sculpture Park, located on the grounds, includes formal and more casual gardens with more than 30 sculptures by 20th and 21st century world-class artists. 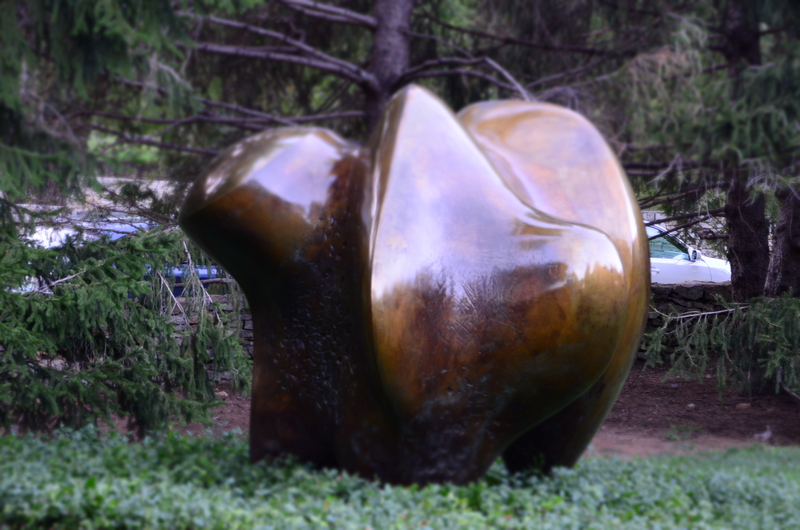 It includes the largest collection of Henry Moore bronze sculptures outside England, as well as works by Magdalena Abakanowicz, (one of my favorites), Isamu Noguchi and Pierre-August Renior. The original museum building is an architectural treasure. Designed in the neoclassic style by Wight and Wight architects, it was completed in 1933. 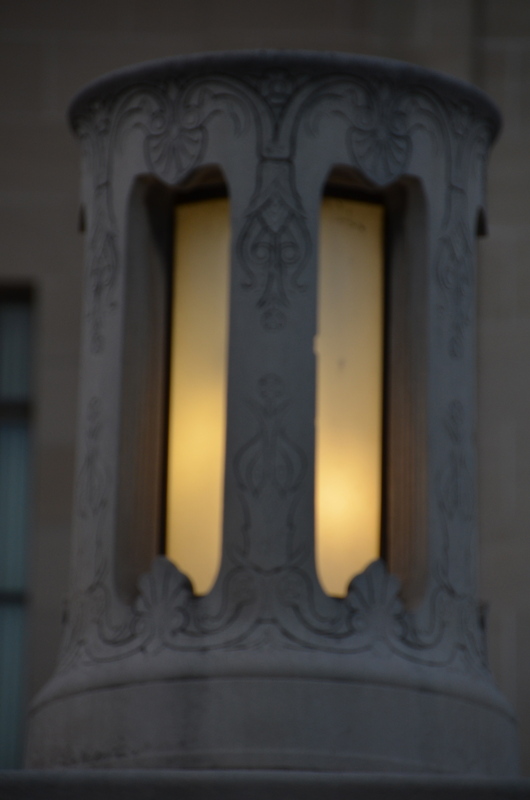 Even the exterior lighting displays the grace of the design. When the decision was made to expand the museum, the project was awarded to a renowned contemporary architect, Steven Holl. He created a building strikingly different from the original museum; focused on fusing light, shadow and water. Not to be ignored is the artistic nature of the landscaping itself. Pathways meander through the trees, encouraging visitors to explore the nooks and crannies of the gardens in search of the art spread throughout the park. If you live in Kansas City, visit the gallery for an afternoon. If you are from out-of-town, spend a weekend. Enjoy! This entry was posted in Photography and tagged Auguste Rodin, Bloch Building, Henry Moore, kansas city, Nelson-Atkins Museum of Art, Nikon D5100, Sculpture Park, Steven Hull. Bookmark the permalink. One of my favorite spots since childhood, the addition paired with the enhancement of the grounds.to the Nelson-Atkins Museum make it a favorite of mine even as a senior. Great photo selections. Thanks, Sis. That word “can’t” is a nasty word. Of course you can up. All you have to do is fly or driveto Kansas City. Then you find a friendly host, Terry/me. You hang out, visit the sites and shop the Plaza. What could be easier than that? ?